Barbora Strycova's Linz Open title defence was halted at the quarter-final stage by Alison van Uytvanck on Friday. Alison van Uytvanck's superb Linz Open campaign continued as she came from behind to defeat defending champion Barbora Strycova in the last eight. 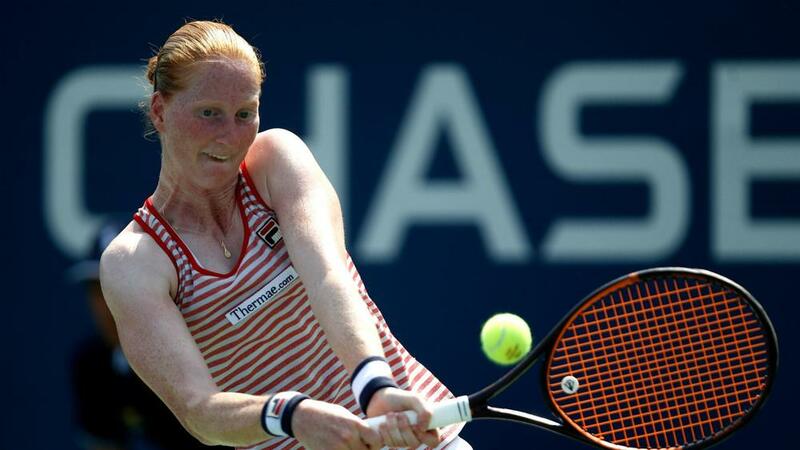 The Belgian had lost her last four WTA Tour main-draw matches, but she has found form in Austria and knocked out 2017 finalist Magdalena Rybarikova in the first round. And third seed Strycova was the latest player to suffer at Van Uytvanck's hand, winning the first set before going down 3-6 6-4 6-4. Another upset will be required for Van Uytvanck to go further, though, with Camila Giorgi up next. The other semi-final will see Andrea Petkovic take on Ekaterina Alexandrova. Petkovic won 6-1 6-3 against Kristina Mladenovic, while Alexandrova battled past sixth seed Anastasia Pavlyuchenkova 6-3 7-5.